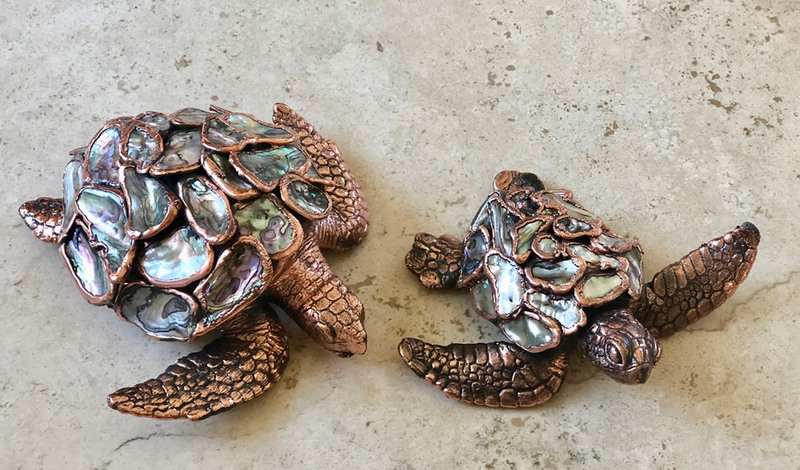 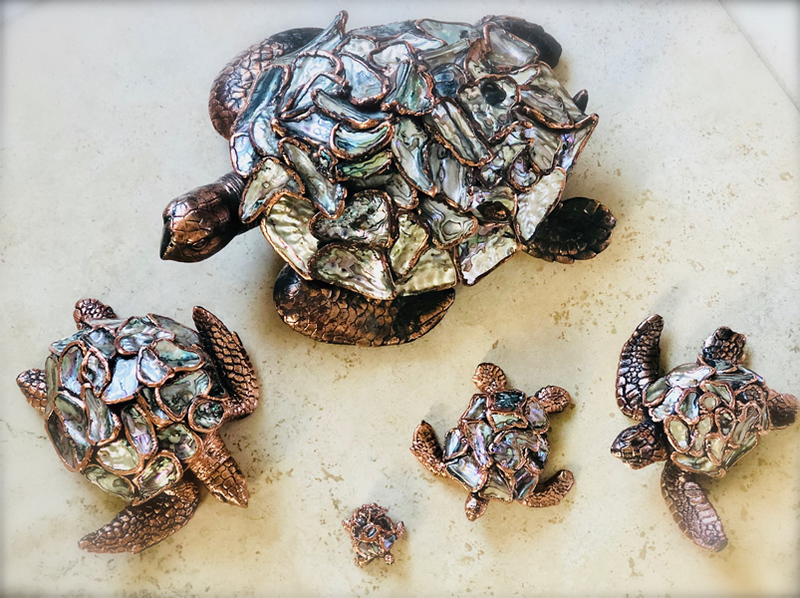 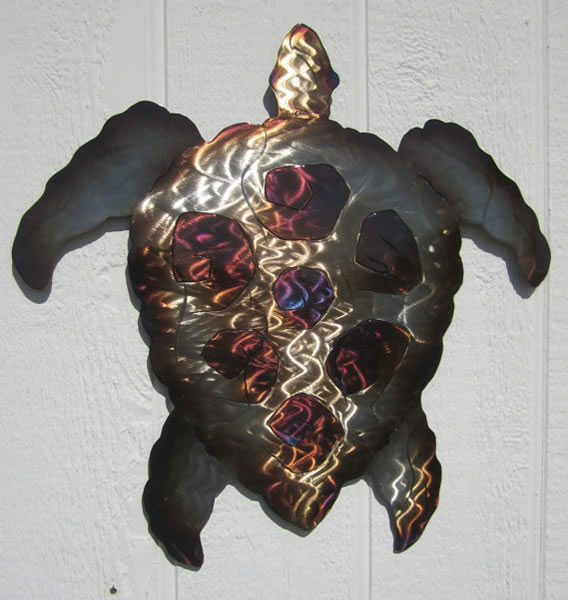 Metal art is our newest category here at Karen Lei’s Gallery. Metal art has increased in popularity over the last few years. 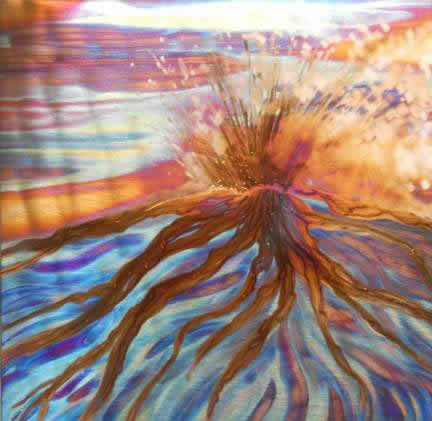 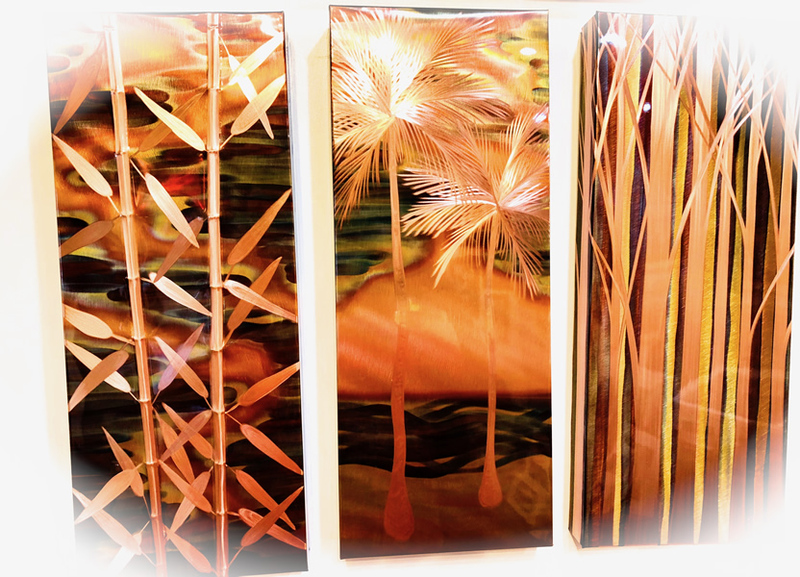 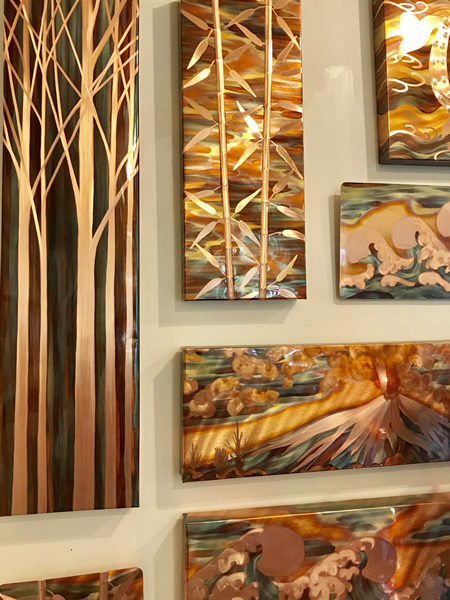 We offer artwork on copper panels that are etched and colored by heat. 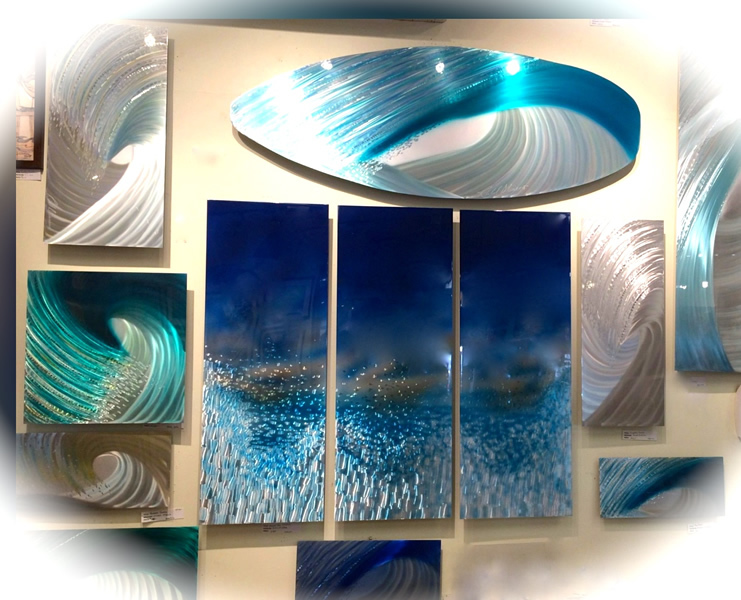 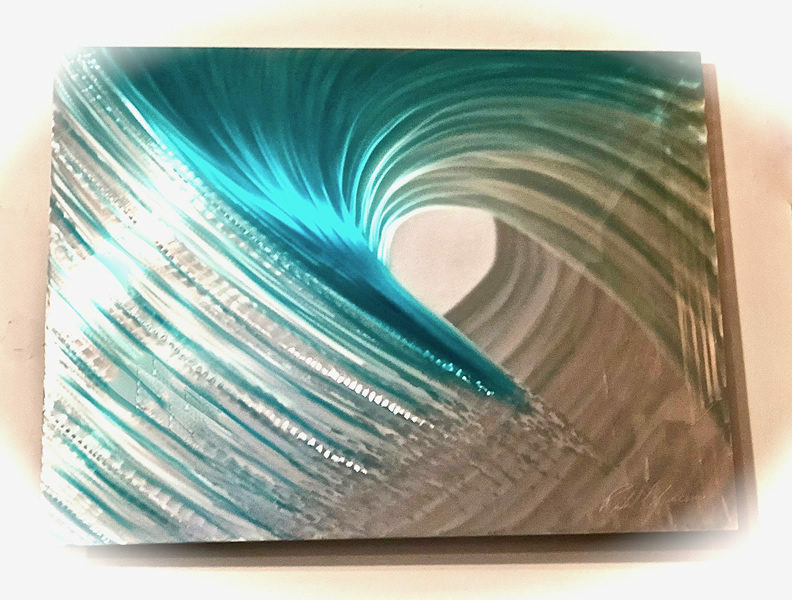 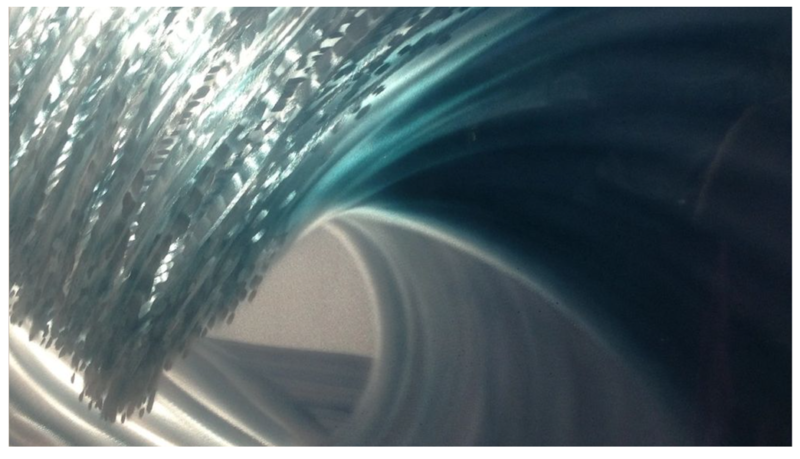 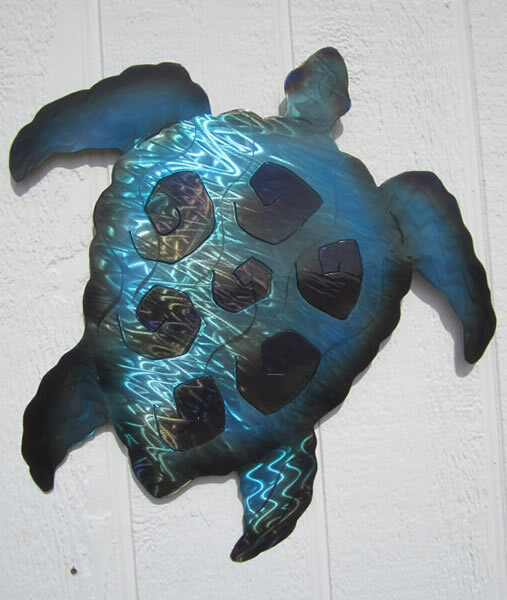 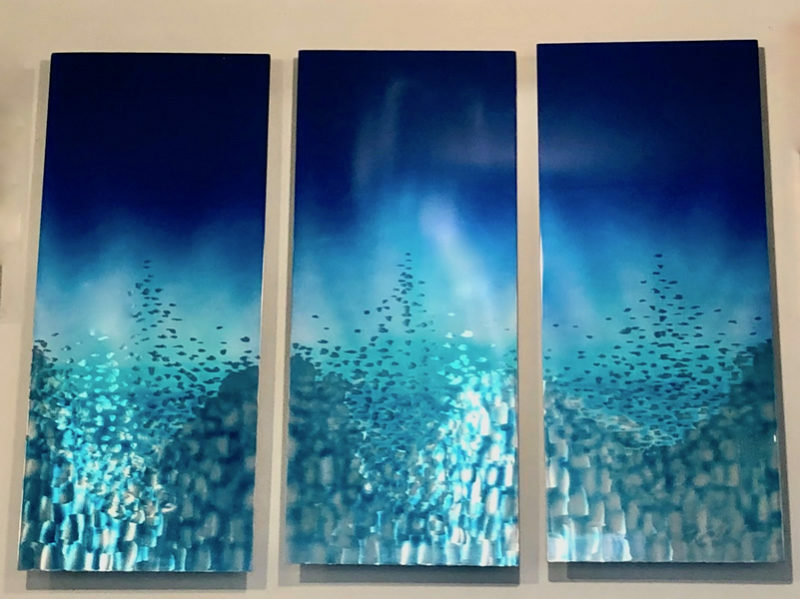 We also offer an artist’s waves rendered on aluminum in cool blues and turquoise colors. 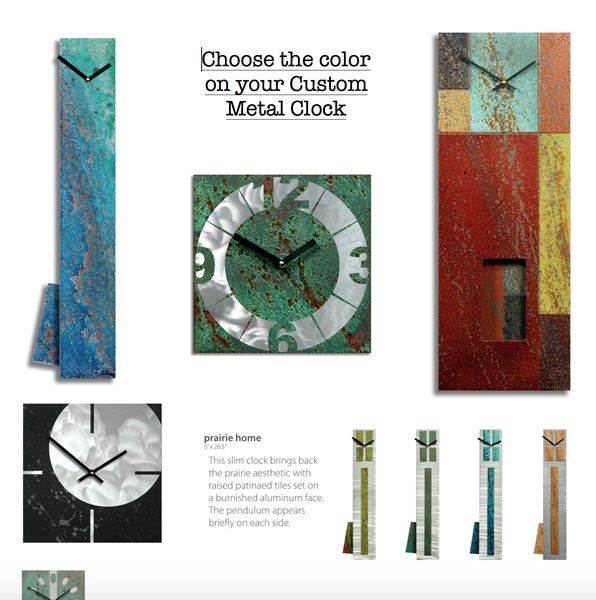 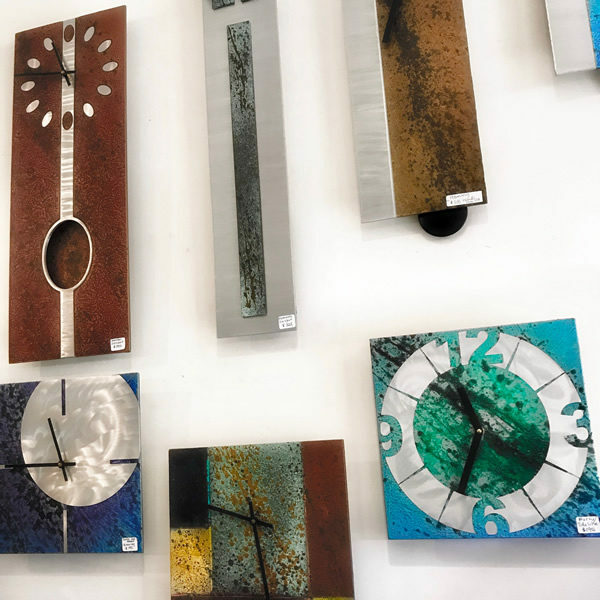 Order a custom metal clock, and choose your own color finish. 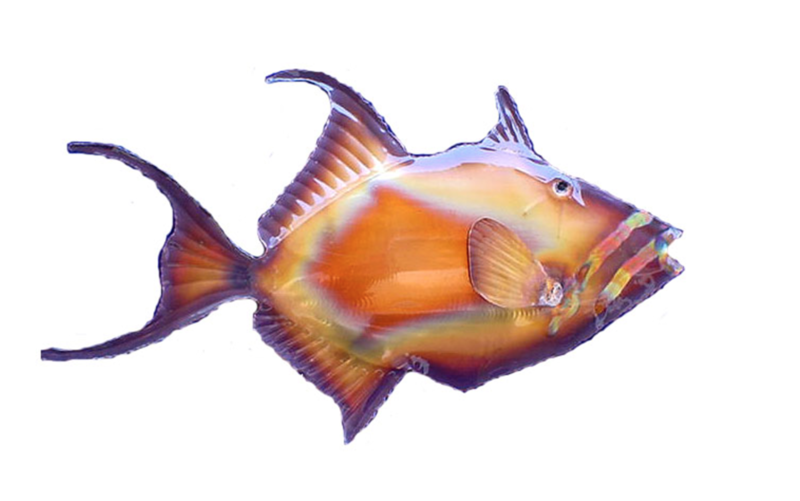 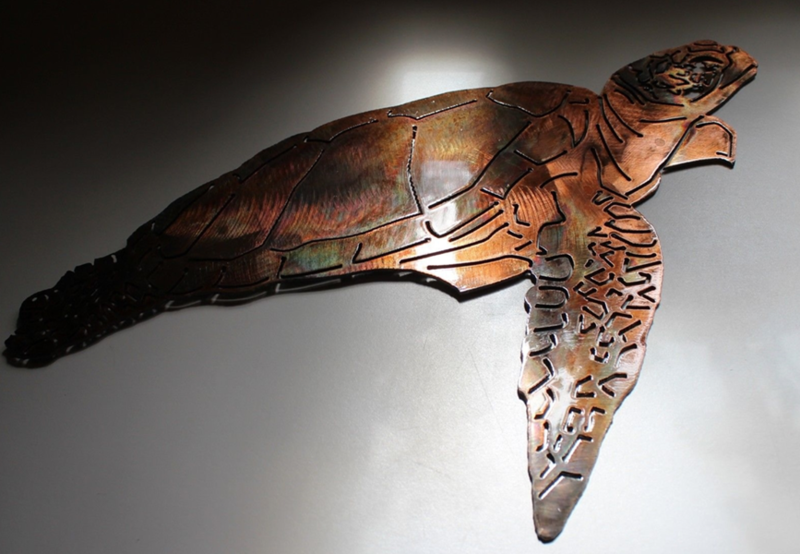 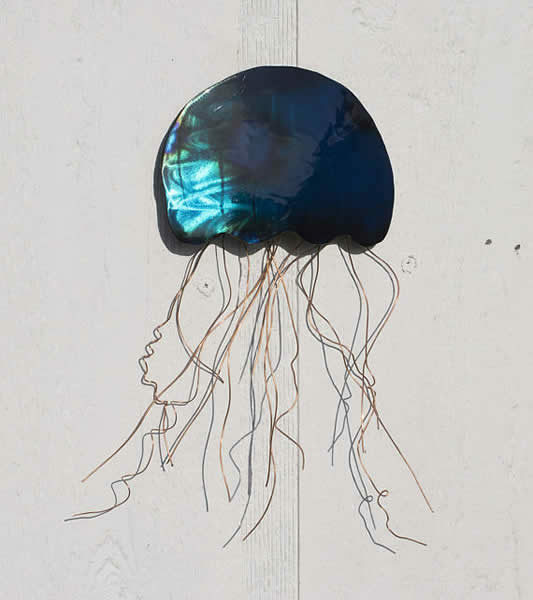 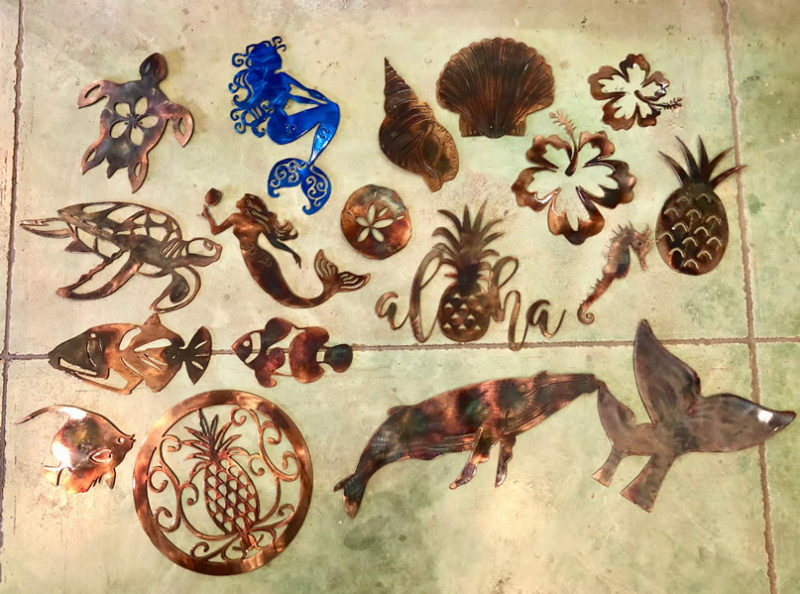 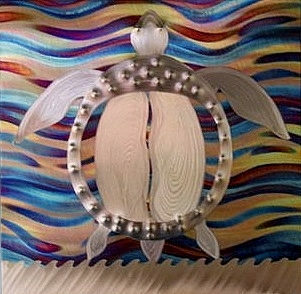 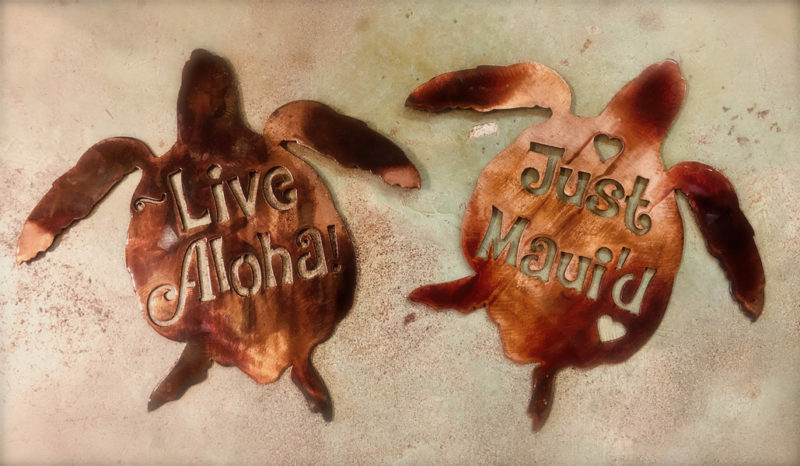 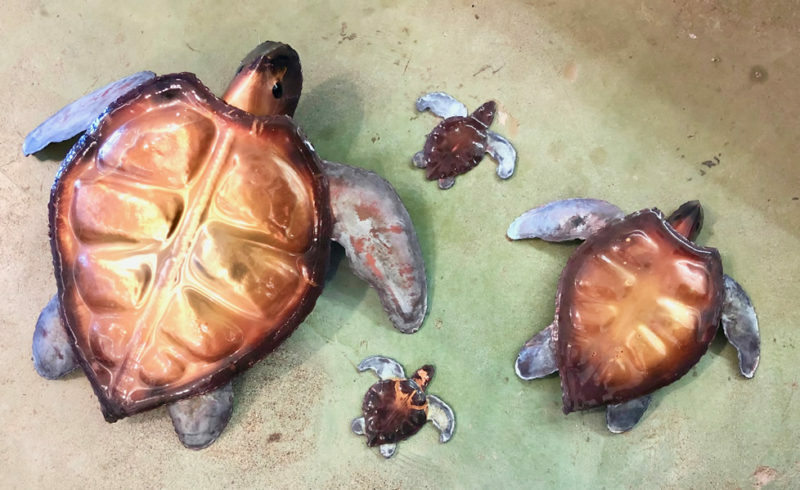 We have one artist who laser-cuts out Hawaiian-themed wall hangings in metal and finishes it up with a copper glaze. 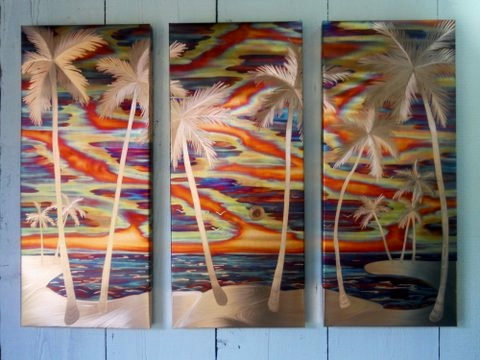 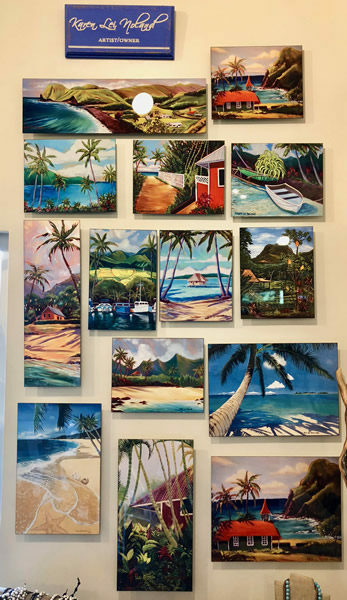 The owner and artist, Karen Lei, prints her images on aluminum and can get them printed in basically any size you need. 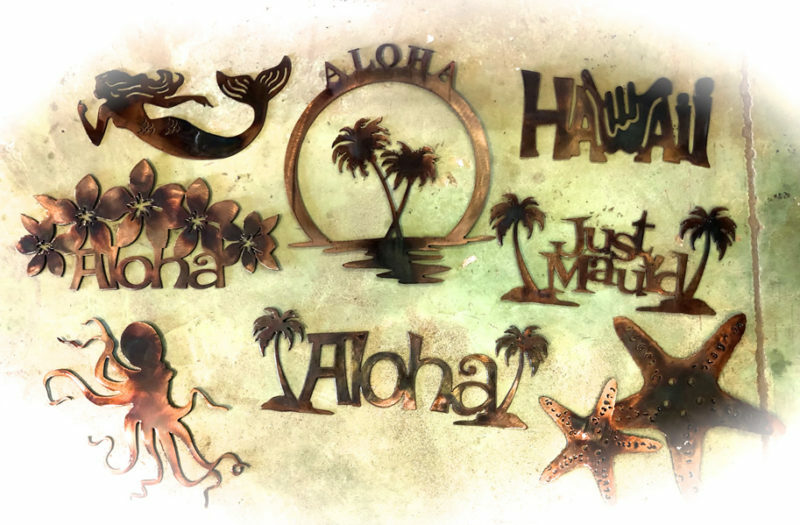 Same holds true for our photographers who also print on regular photo paper as well as metal. 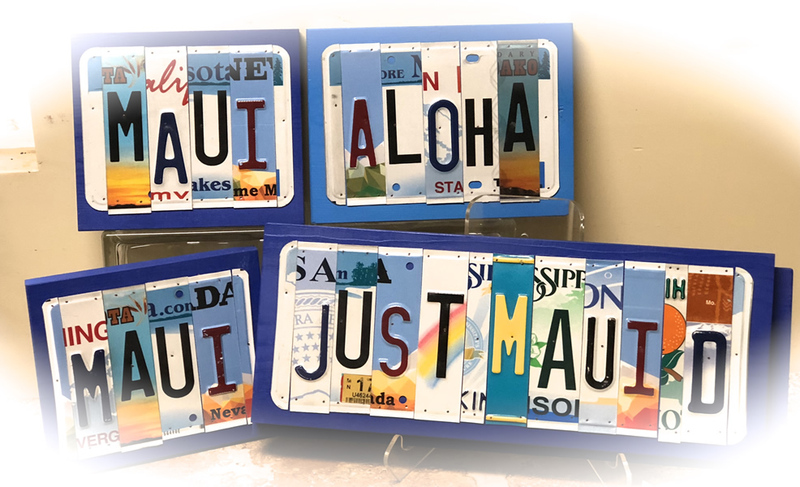 Please let us know if you are interested in any particular item. 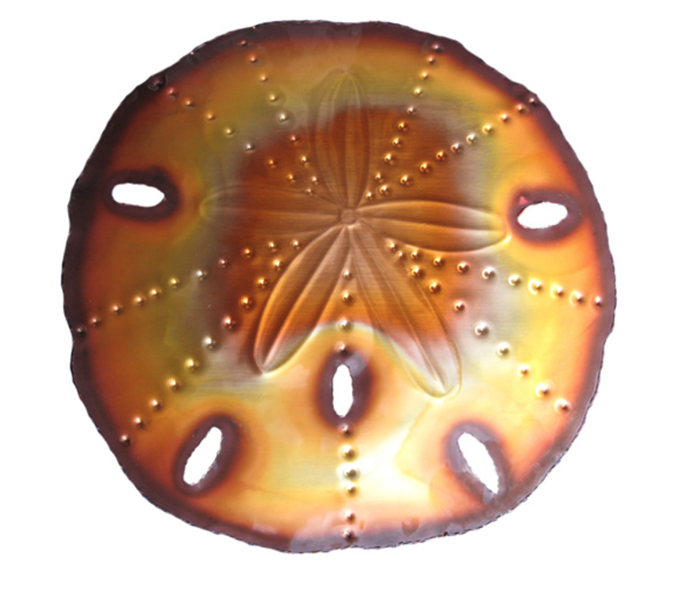 You can see the number of the item when you mouse over it, so when calling, please refer to the image by number. 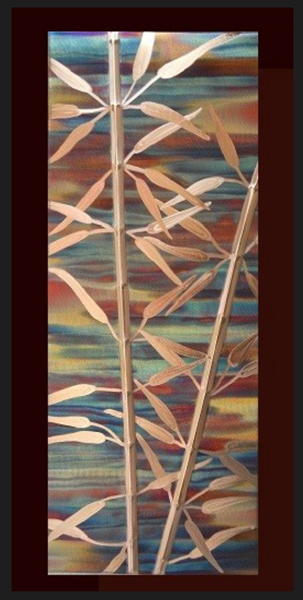 Scroll down for contact information. The slide show below is a sample of what we carry and does not include all of our inventory. 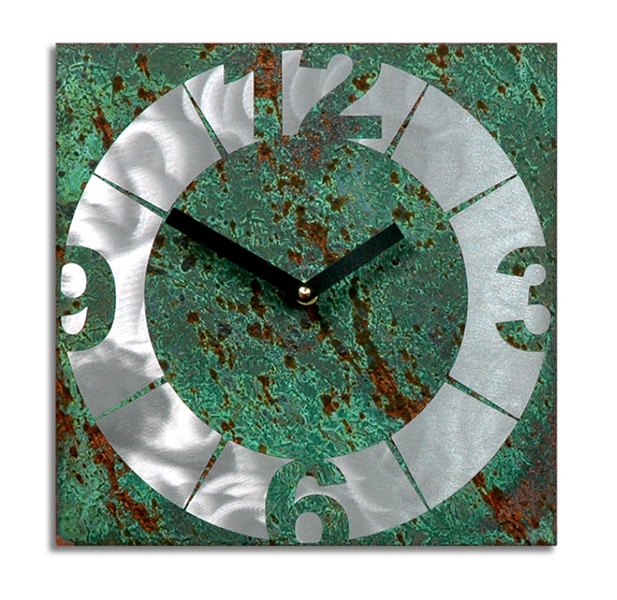 We run out of stock, re-order from the artists, add new artists, and inventory changes daily. 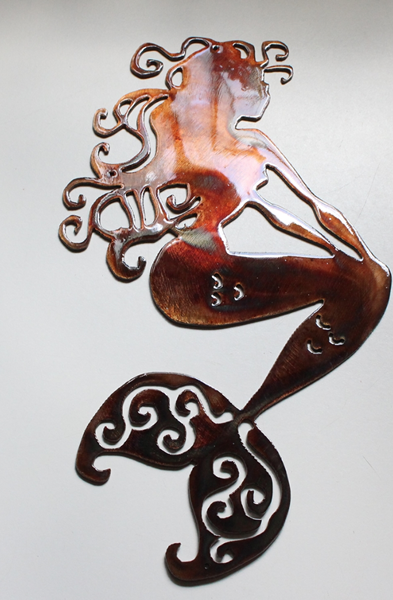 Because most of our goods are handmade, it might take a few weeks to get re-stocked from the artists. 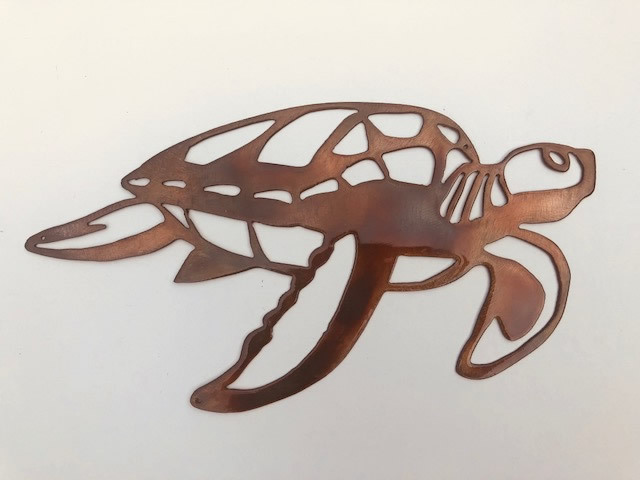 Because of this, we do not have a shopping cart as we like to charge our customers when items are ready to ship or when a custom order has been finalized with the artist.